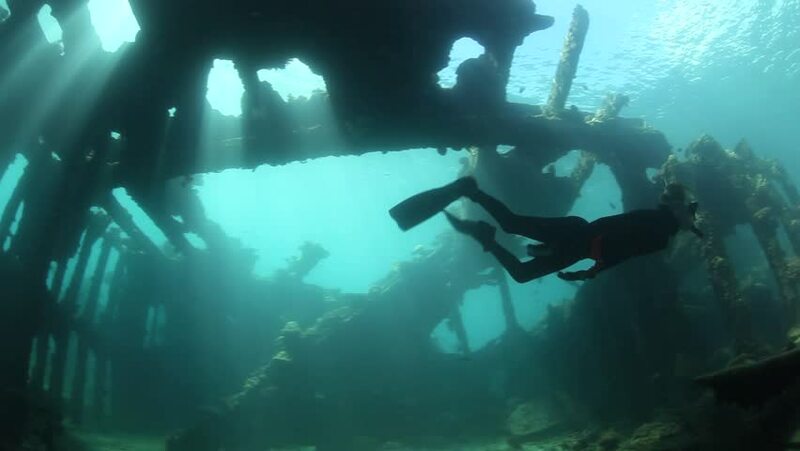 A free diver descends through the remains of a Japanese shipwreck left over from World War II in the Solomon Islands. This site is off Bonegi Beach on Guadalcanal. sd00:15Underwater diver in back-light and bubbles. Shot captured in the Mediterranean Sea (Italy) by 3CCD camcorder - PAL system. hd00:09TERENGGANU, MALAYSIA - JULY 2ND 2018 : Divers diving in Perhentian Island, Terengganu, Malaysia. hd00:08Silhouette of a group of scuba divers close to a calm ocean surface.